Our dedicated team members at St. Luke’s. The Rev. 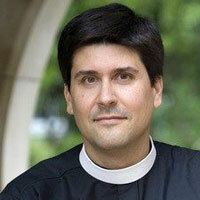 Jamie McElroy comes to St. Luke’s Episcopal Church and School from Jackson, Mississippi, where he served five and a half years as Rector of St. James’ Episcopal Church and School. During his time at St. James’, he helped exponentially grow parishioner involvement in church ministries by rebuilding the church’s committee system, and by guiding the congregation to articulate its mission and vision for its work as the Body of Christ. Thereby the congregation creatively developed its pre-existing ministries—including St. James’ pre-k school—while also conceiving and growing many new ministries. Before coming to St. James’, Jamie served three years as Canon for Outreach & Evangelism at St. Peter’s Episcopal Cathedral in St. Petersburg, Florida, seat of the Diocese of Southwest Florida (and his wife, Peyton’s, hometown). Prior to moving to the Southeast, he worked in the San Francisco Bay area, serving four years as Director of Children, Youth & Young Adult Ministries at St. Bede’s Episcopal Church in Menlo Park, California, while also serving as a chaplain and service learning coordinator at Trinity, Menlo Park—St. Bede’s pre-k through 5th grade school—as well as the director of Los Ayudantes, an English literacy tutoring program for Latino school children in Redwood City, California. Jamie earned his Masters of Divinity at the Church Divinity School of the Pacific (the Episcopal seminary that is part of the Graduate Theological Union in Berkeley, California), and he was ordained at Grace Cathedral in San Francisco in 2009. As a young adult, before following the call to ordained ministry, Jamie worked as a newspaper reporter in North Carolina, wrote a non-fiction book (published by Simon & Schuster) entitled We’ve Got Spirit, about the best high school competitive cheerleading team in the country (from Kentucky), taught high school journalism in Massachusetts, helped his wife, Peyton, found and run a small theater company in Boston and New York City, and did public relations work for the Yale University School of Music. Jamie and Peyton met as undergraduates at Yale, where Jamie got his B.A. in English Literature. Peyton eventually went on to earn her Masters in Philosophy of Religion from Yale, then a PhD in Philosophy from Stanford. For the past eight years, Peyton has taught applied ethics, moral philosophy, critical thinking and religious studies at colleges in the Tampa and Jackson areas and has plans to continue doing so here in Mobile. Jamie was born and raised in Washington, DC and attended the DC Public Schools from kindergarten through high school. He credits his parents with planting the seeds of faith through their devotion to public service—exemplified by their devotion to the DC school system as teachers, activists, fundraisers, and volunteers. Jamie found his way to the Episcopal Church at the age of 27 when he was baptized at the Cathedral of St. John the Divine in New York City. Peyton, a cradle-Episcopalian, served as sponsor at his baptism and is, in a sense, his sponsor in all things, challenging and inspiring him every day. Their two kids, son, John and Alex, are constant sources of joy, who are growing up way too fast. Wendy has been St. Luke’s Parish Administrator for the past 11 years. 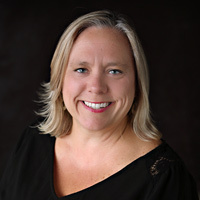 She serves as a personal assistant to the Interim Rector, Reverend Rusty Goldsmith, and handles the day-to-day operations of the business side of the church, including payroll, taxes, accounts payable and receivable, donations, audits, bulletins, etc. 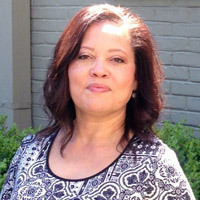 A Mobile native, Wendy attended the University of South Alabama, where she graduated with a Bachelor’s degree in Hotel and Resort Management with a minor in Psychology. Wendy and her two children, Jack and Claire, live in Mobile. Both Jack and Claire attend St. Luke’s Episcopal School. Bonnie Jean and Valrey Early have been involved together as church musicians since 1967. 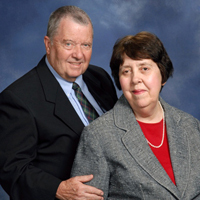 They are the founders (retired) of Mobile’s Singing Children and are parents to two musical children. They were also faculty members of the University of South Alabama. Bonnie Jean and Val have had the privilege of leading members of the church in the Sanctuary Choir and the St. Luke’s Ringers for the past seven years. Both are graduates of Westminster Choir College, whose main purpose was to prepare musicians to work in the church. In addition, Bonnie Jean earned a Masters in Vocal Performance at the University of Southern Mississippi. Merle earned a Bachelor of Music Education degree with piano as her primary instrument. 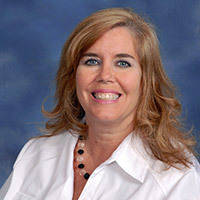 In her twenty years as a music educator, she has taught choir, string orchestra and general music. For the past three years, Merle has been Summer Piano Camp Coordinator at Broussard’s Academy of Music. Merle is a Certified Music Instructor who provides private piano and violin lessons in the church for children of any age from beginner to advanced. If you are interested in lessons for your child, please contact Merle at 251-366-6830 or via the church office at 666-2990. Piano and violin lessons are provided once per week and lessons are $100.00 per month. There is no registration fee and no extra charge for a five week month. Cindy has been at St. Luke’s church for 16 years, where she is the nursery supervisor. Cindy and her husband Jeff are the parents of two children, Lauren and Jeffrey, who grew up at St. Luke’s. Our triennially elected board members. Many of our wonderful parishioners offer their services to St. Luke’s as volunteers. If you are interested or would like more information on how to become actively involved in our church, please contact us. Approximately 20 members headed by Susan Knight. Approximately 20 members chaired by Theles Woodfin and Suzanne Ozment. Amber Martenstein, Brenda Hinson, Connie Jo Williams, Alix Guidry and Diana Durling. Led by Jennie Ori and Dennis Guion. This group of ladies volunteer in the office to assist the Parish Administrator and are led by Gina Droke.